This is a job that every 360 owner should perform. It is an easy DIY task but if you are unsure of anything then please consult a professional! Most Ferrari’s are very sensitive to changes in operating voltage – jump starting is known cause voltage spikes and can damage the ECU’s and the lights behind the instruments. Low battery voltage can cause CEL errors on start up and a weak battery causes the alternator to over run which at best will shorten its life and at worst could even start a fire! Driving a car that has been jump started has serious implications. Surface-charging your battery using your alternator shortens its life. The alternator going ten to the dozen trying to keep a power-hungry car running whilst charging a flat battery wrecks rectifiers and 360’s end up with damaged alternator feed wiring. Risk of damage is both real and common. All of these problems can be almost be totally eliminated by fitting a battery tender. Note that a tender is not a charger, rather it maintains a healthy battery as opposed to charging a dead one. I use an Optimate but there are other brands out there, namely Accumate and CTek. I can recommend buying an Optimate or Accumate from this Ferrari specialist: Walkersport. 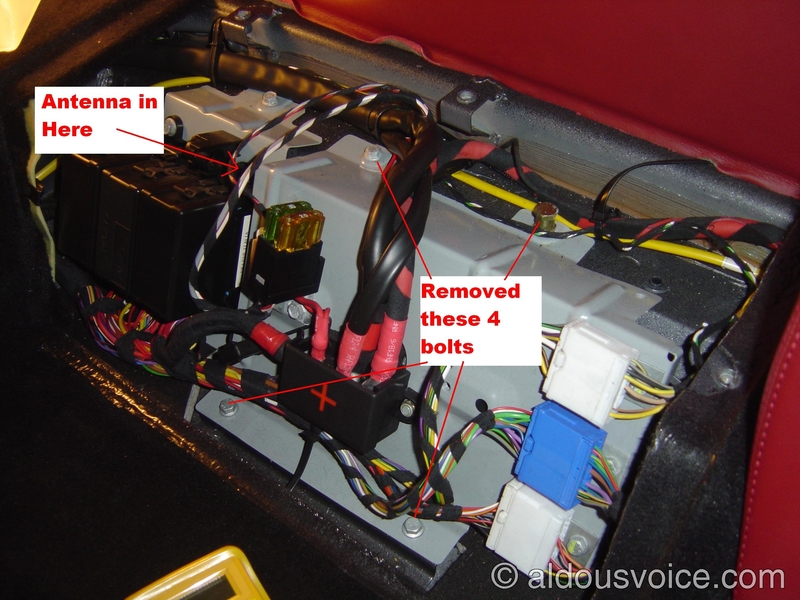 Fitting the tender can be as simple as clipping it directly to the battery using the crocodile clips provided. 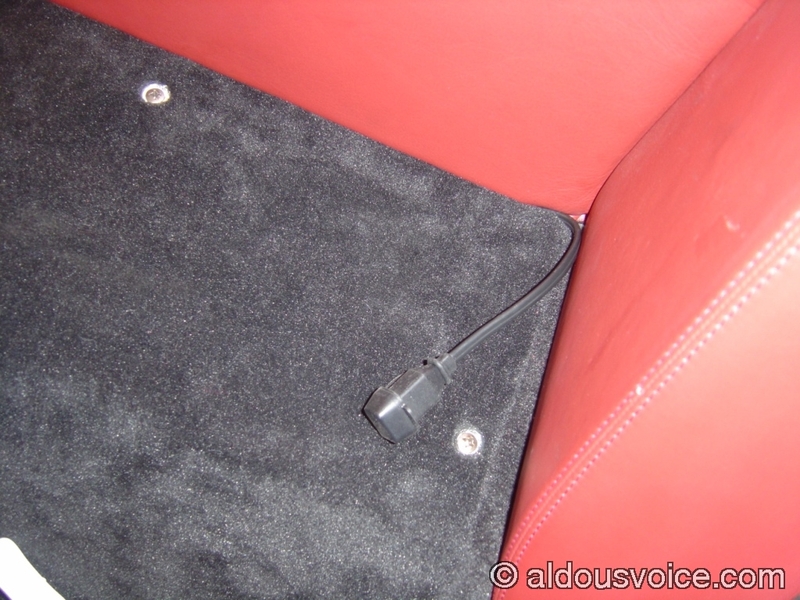 I advise hard wiring the tender in and also recommend that you do not go anywhere near the battery (behind the passenger footrest). 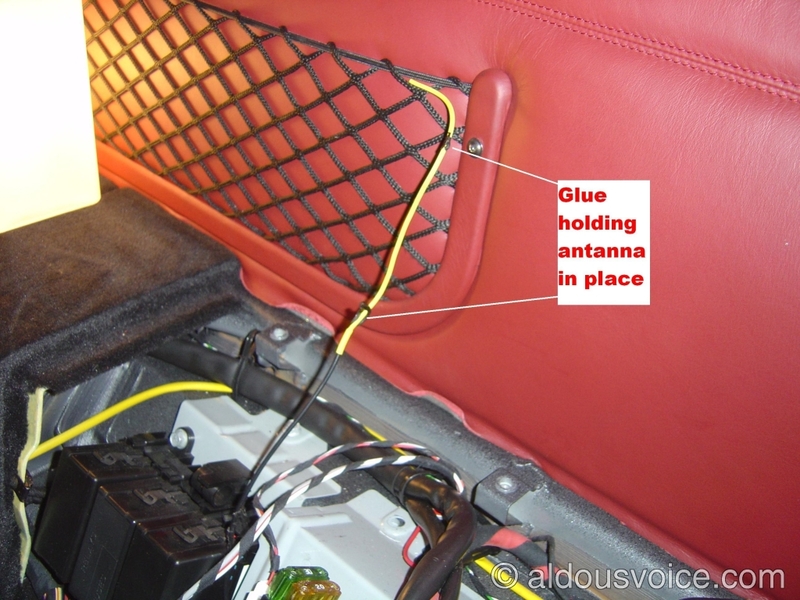 Whilst you are fitting the tender there is a quick and easy mod to improve the range of the remote control fob. For some reason Ferrari placed the antenna behind a metal shield which means the fob needs to be close to the car to work! Instructions are well documented, thank you. Could the use of a battery tender hide a condition of a weakened battery long enough that similar alternator and wiring risk exists with little warning? If yes, should a 360 battery be changed as a routine maintenance item every ?? years? An interesting question. If you had a weakened battery and suddenly started to use a tender then I suppose its state could be hidden only to surface on a long trip. 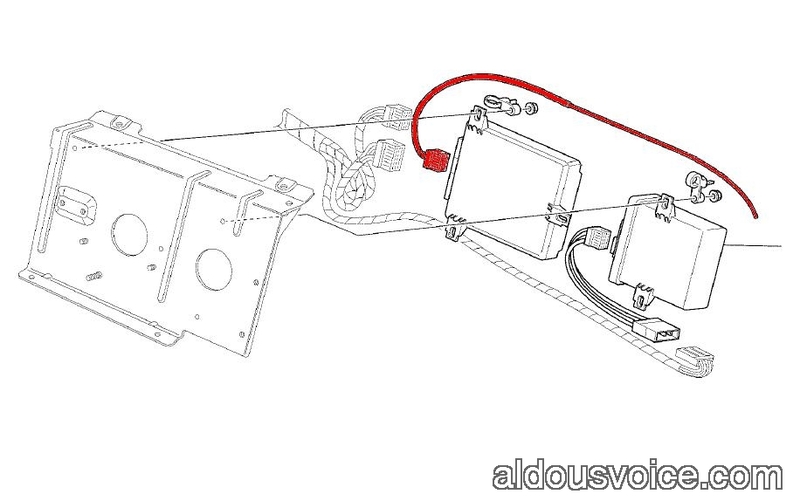 A belt and braces approach would be to renew the battery on first purchase of the car and keep it on a tender. As to regular changing of the battery, I would say with a tender it is not needed but belt and braces could call for an interval of 5-7 years. Modern batteries are very tough if used as they are designed – ie: big current draw to start the engine followed by a trickle to recharge. Running a modern car battery down really punishes it. To give you an idea of how good these battery maintainers are, following my accident the car was out of my hands and in storage for 3 months. 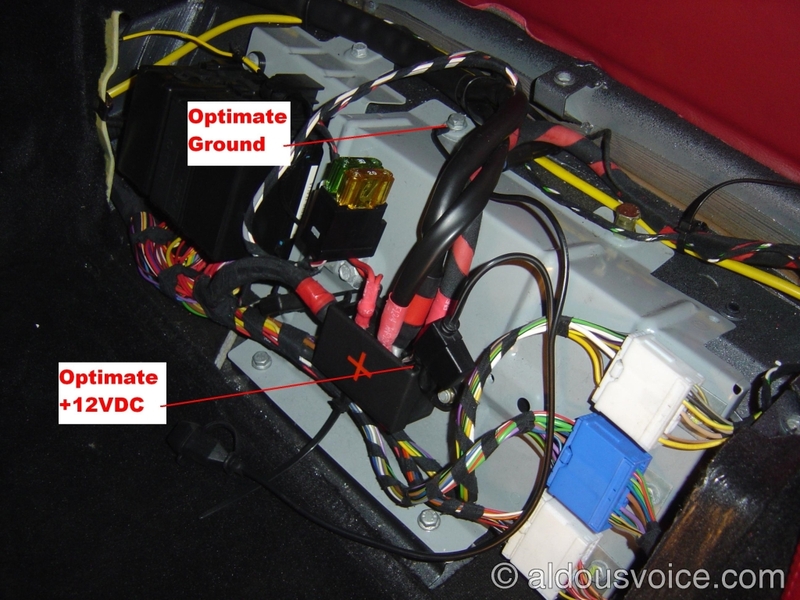 When the car was returned to me the voltage across the battery terminals was 0v – it was dead. I connected my optimate to the dead battery via the fly lead but it couldn’t see the battery. After applying 12v to the car from an external battery the optimate was fooled into seeing the battery and went about trying to recover the battery. After a week the battery was fully recovered. I believe it took a week as I have an optimate 4 which has a max current of 0.8A. A more powerful tender would have probably recovered it much more quickly. Hi Aldous. I have a C-Tek MXS 3.6a maintainer. 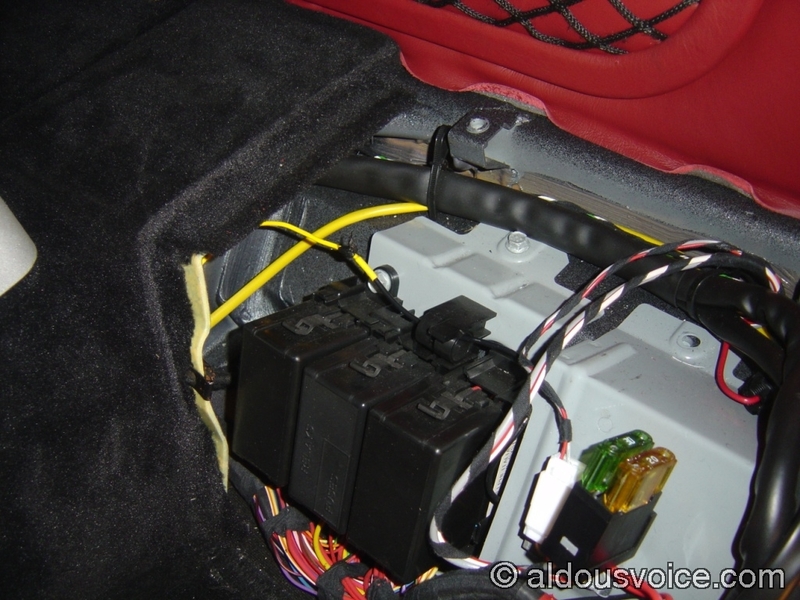 I have been using it to maintain a Porsche 996 battery but it was attached directly to the terminals of the battery. If I use it for my 2002 360 will it be like the Optimate design in the pics i.e. attached to a separate positive and ground? Firstly, your C-Tek will be suitable for use in your 360. 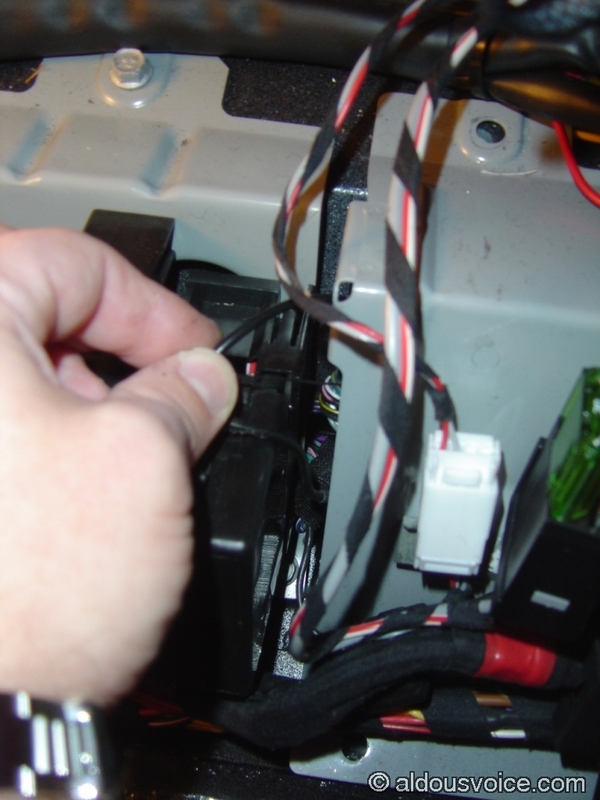 I prefer to attach as shown in the pictures but you could equally attach directly to the battery terminals. So how does the + connect? Are there terminal slots in that housing? Does there need to be a splice? You can only use a tender with the battery isolated if the tender is connected directly to the battery. i will put the tenders + and – to the battery + and – when the modena battery cut off switch is on (energy is on for ignition) and key is on zero position.